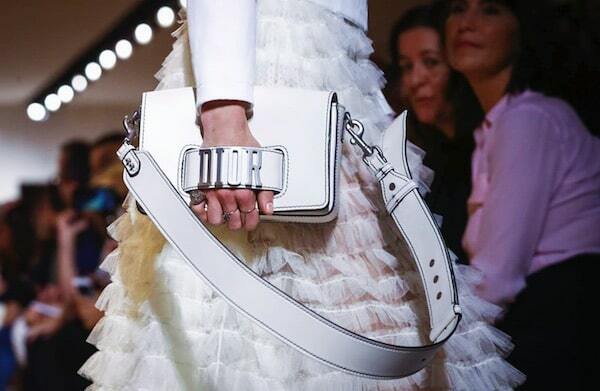 At the moment there are no victims in the clash between Dior and Valentino Spring Summer 2017 fashion shows. 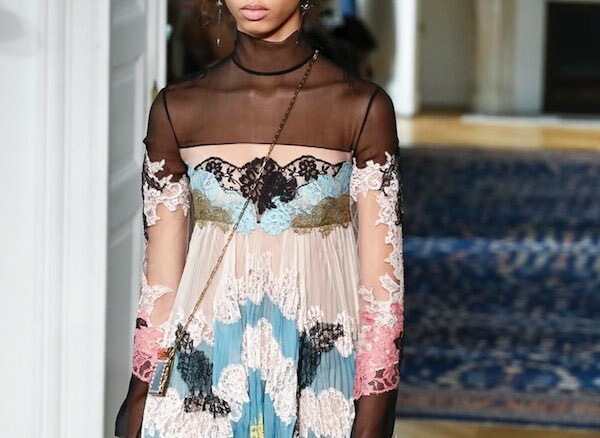 The War of the Roses between the former creative duo of Valentino ended with peace by both sides. 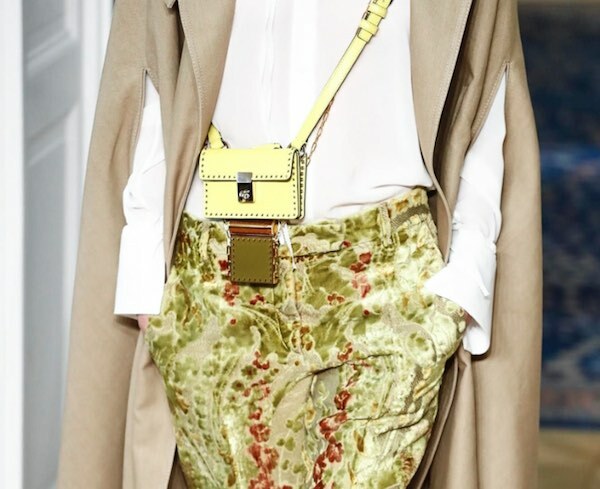 On the one hand Maria Grazia Chiuri, strong woman, at the helm of Christian Dior; on the other, the pater familias Pierpaolo Piccioli, so sweet as determined, and now the only successor of Valentino Garavani. A fight to death? Absolutely not! With the aplomb (real or faux) that reigns in high fashion, the two fri-enemy (whose crisis was rumored for a few seasons) supported each other attending the shows, posing for photos and clapping for the final bows. Both the designers with these two debut shows had something to prove. For her, the duty of being the first woman to direct a fashion house always led by men; for him, the credibility as a unique creative entity after having been part of an inseparable duo according to the press. If we look at the shows from a communicative point of view, it’s very interesting to compare the two sets. 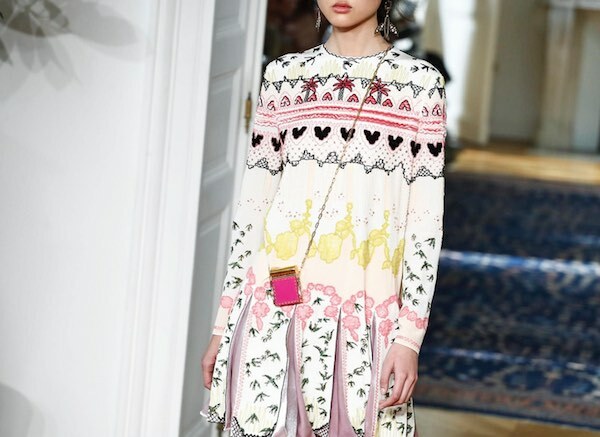 They are two worlds that reveal totally different approaches to fashion, and it’s difficult to believe that they led together Valentino to what is now. 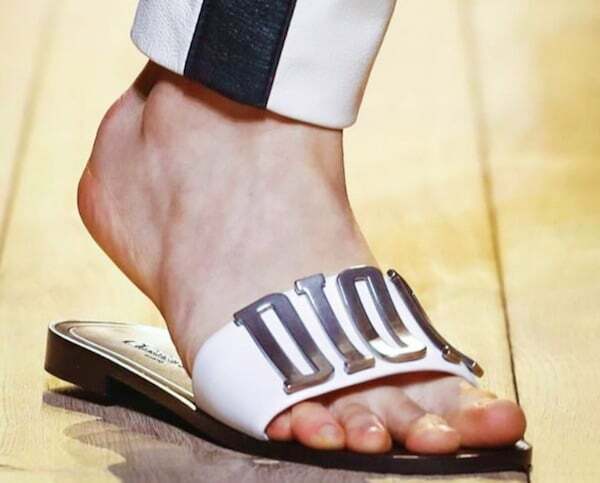 Maria Grazia Chiuri for Dior chose wooden boards on the ground: basic, bare, brutal, like those used to make the formworks for reinforced concrete; like if she was saying – I am building new foundations and the new backbone of what will be the new Dior. 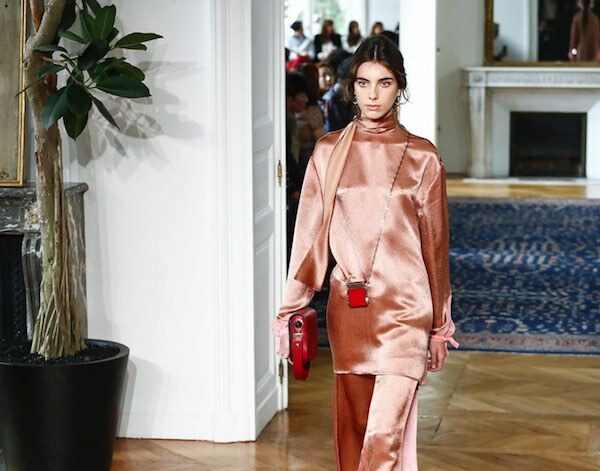 Pierpaolo Piccioli, instead, made the models walk in the 2 floors of the Hotel Salomon de Rothschild, to finally gather them along the balconies of the main salon. To take the bow, also he walked the entire route, including the staircase: a symbolic gesture, perhaps a metaphor of the long journey that awaits him. 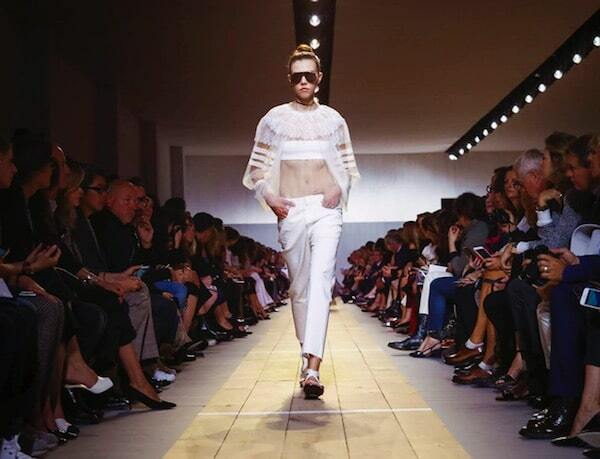 In the Spring Summer 2017 collection by Maria Grazia Chiuri for Dior we can see multi-faceted women, but each face reveal her own strong and independent personality. 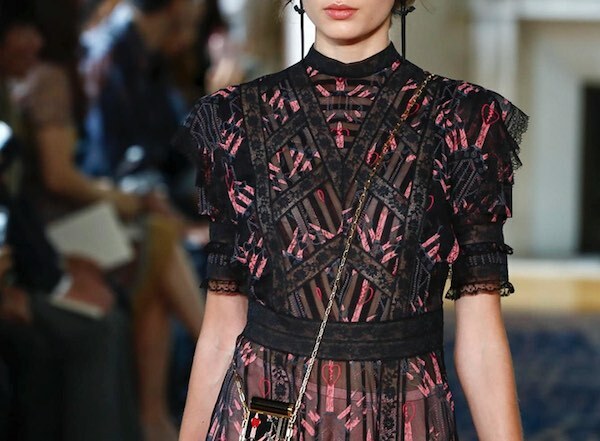 On the one hand we can recognize the harder and perhaps stronger soul of the former Valentino-duo; on the other hand we can feel her urge to go beyond the heritage of the French fashion house, with what she called “DIO(R)EVOLUTION”. No more new look, no more baroque, no more minimalism, no more artistic references. The street is the muse. 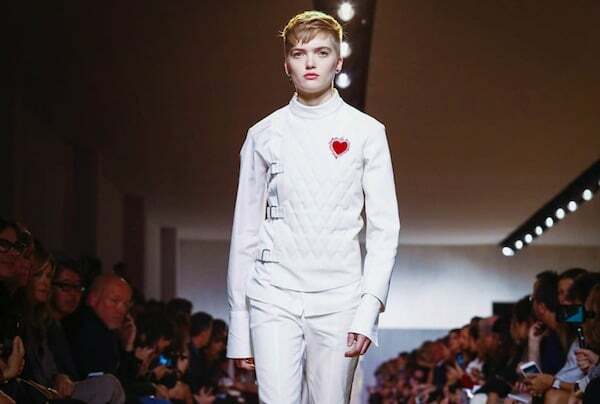 Dior women are sporty, are the girls who have great life aspirations, who are practical and bold, they are warriors with fencing uniforms. 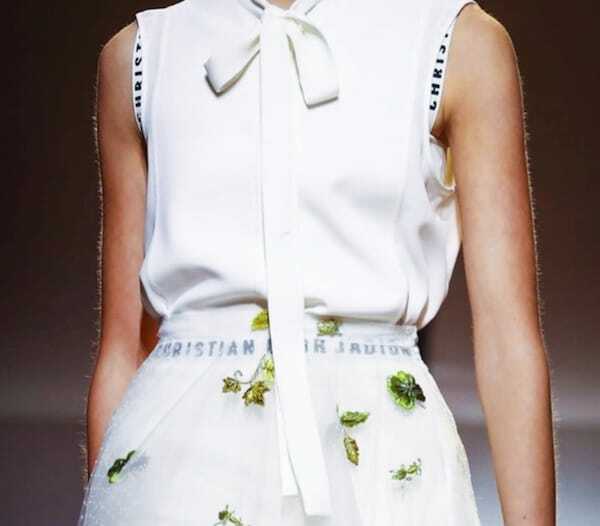 With Chiuri, Christian Dior has changed his “flower woman” with wasp waistline in a feminist who claims her right to live according to uncontrived beauty. 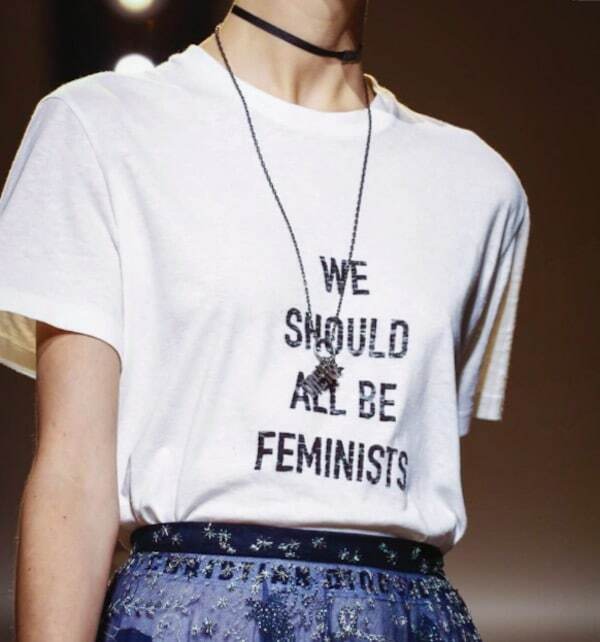 No surprise that the pre-show movies on Dior’s social media were focused on the role of women in the fashion house, looking like political campaigns claiming ”women can do everyting”. Maxi visors, branded underwear and dresses like protective armors that celebrate sport activities are the new aesthetic codes of the brand, but only customers will give the final verdict. 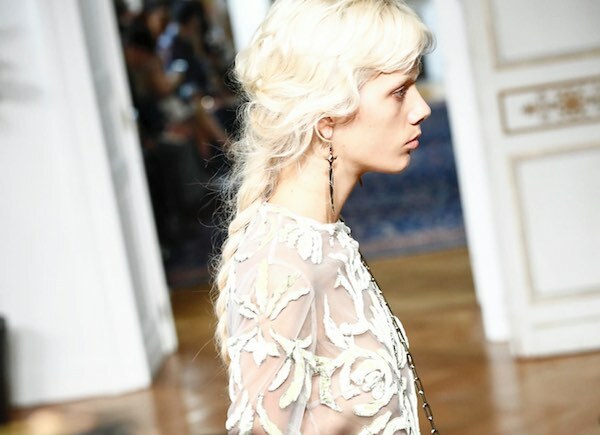 The only question is: after Alexander Wang lasting less than a butterfly in winter at Balenciaga for his street couture, and even Karl Lagerfeld recording a drop in sales at Chanel with his sporty sophistication, what does assure Maria Grazia Chiuri that street-sport-couture is the right choice? 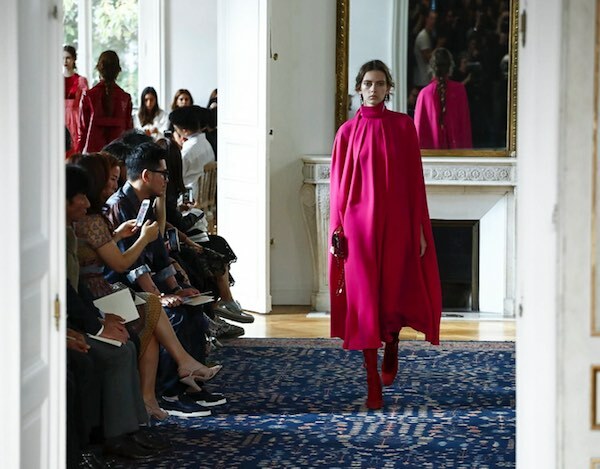 While Chiuri has the difficult task of revolutionize a brand making it appealing to millennials, on the other hand Pierpaolo Piccioli must consolidate the path done with her, but at the same time must be able to demonstrate that he can make it better by himself. 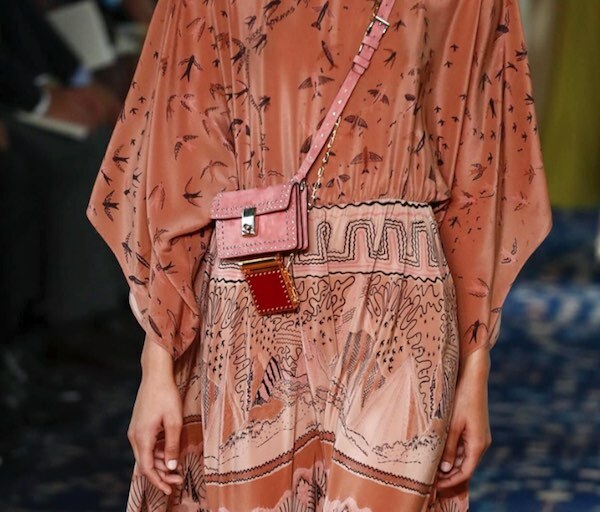 This involves the review of the “new classics” launched by the duo, through the use of a brighter color palette that echoes the one used by Valentino Garavani. Fuchsia, red, yellow and lime once again are declined on minimal silhouettes along with studded applications, but, contrary to expectations, they are not redundant. 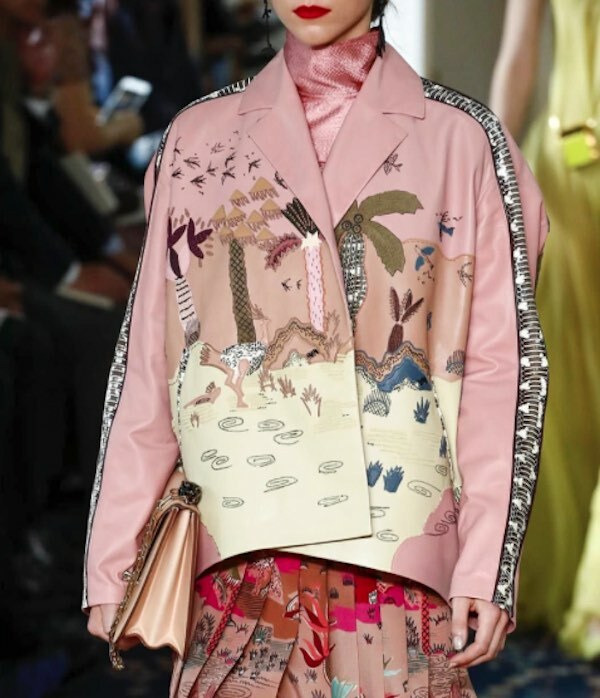 The embroideries and prints tell the visionary world of artist Hieronymus Bosch, filtered through the inspiration of Zandra Rhodes, the British designer invited to reinterpret imaginary havens and hells by the more inflated Flemish artist in the fashion world. 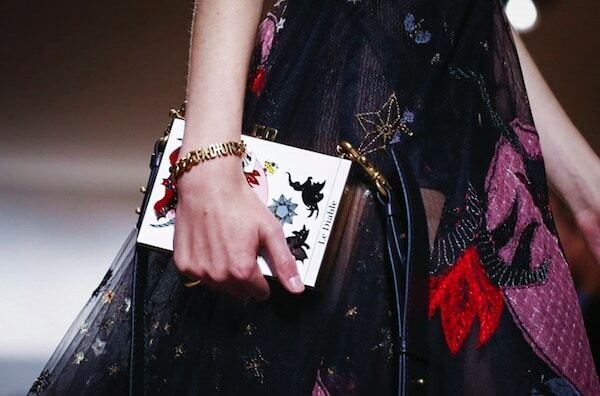 The true touch of modernity, however, is up to accessories, whose forte seems to be a tiny studded box holding the first lipstick Valentino #1, definitely the must-have of a show that will mark the history of the house. 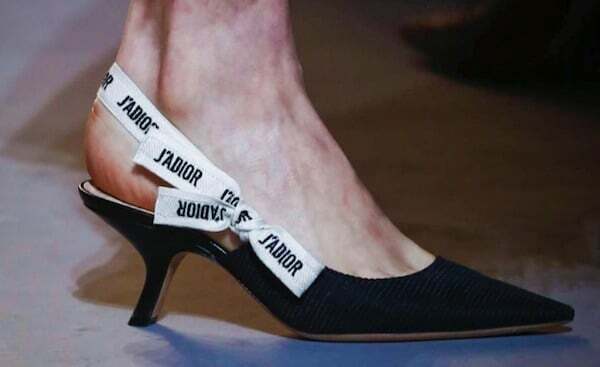 Among statement T-shirts, branded underwear on sight, rivers of chiffon and micro-minaudière, the War of the Roses ended with the peace between the designers, whose professional divorce seems to have been vital to their creativity. But before we can claim victory, we have to wait a year to find out the results of the market, the test that will determine the true salvation of the two rulers. Just to remember that fashion customers are the most feared and insensitive Executioner: a mistake and the guillotine falls down. 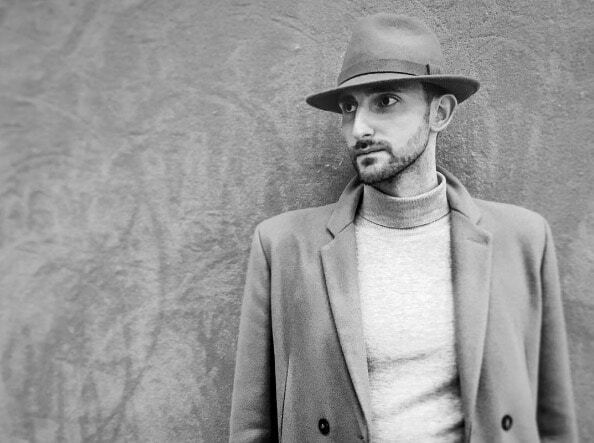 Vacchiano Shoes: To Understand Made in Italy, You Have to Live It!